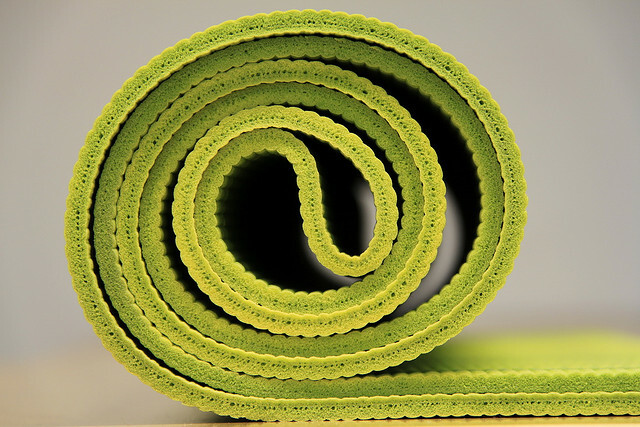 You are here: Home / Yoga Stuff Happens / What’s the Best Way to Lay Out Your Yoga Mat? Which way do you turn your yoga mat and what direction do you face to teach your yoga classes? Is there an “official” right way or wrong way to do this? I know much depends on the space of the studio. Use one mat facing the same direction as your students’ mats. You teach facing the class or with your back to the class or a mixture of both. Use two mats and cross them so that you can turn both directions while teaching. Face the class and have them mirror your movements. Face the class and have them do the poses opposite you. Turn your back and do the poses with the class. Walk around the studio while you teach so you don’t have to make these decisions. What you do is a personal choice, I suppose, but it might be helpful to get some dialogue going on proper “teacher mat etiquette” or some ideas on what works best for you. If you are not a teacher, give your thoughts on this topic as a student. 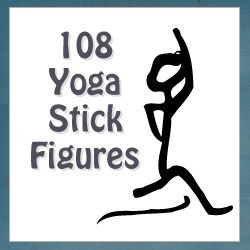 What direction do you like for your teachers to stand when they are teaching yoga?